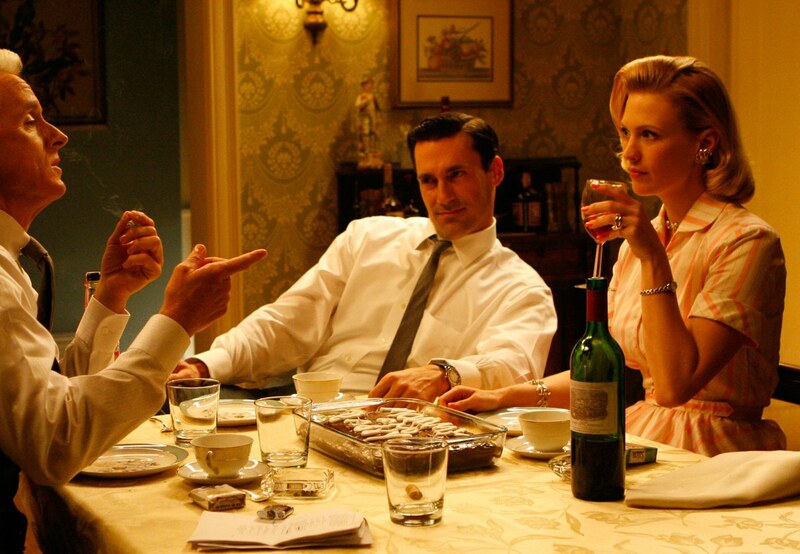 In my opinion Mad Men is one of the greatest TV shows ever and I honestly cannot stop watching it. I'm on season six at the moment so I'm nearly at the end but on that note I wanted to do a blog post featuring the one and only Betty Draper/Francis. I mean her style is flawless and throughout the show is she one of the characters who's style barely changes. So when we first meet Betty, she is a very pale and very fresh-faced housewife, doesn't wear a lot of make up but looks very beautiful. Not surprisingly Don took a fancy to her as she was a young model when they met. In the show she is portrayed as the spitting image of Grace Kelly and gets a cast in Coco-cola ad as a Grace Kelly's lookalike. Can you imagine January Jones playing Betty, it must have been amazing. Below are just a few of my favourite pictures of Betty's outfits that she wore. Something I picked up whilst watching Mad Men is that Betty wears lots of pale colours such as blues, lavender, baby pinks and white. She usually wears A-line hemlines which is the total opposite to Joan's curve hugging dresses in both solids and prints. Betty's then husband Don Draper is very traditional. Out of all of the female characters Betty's style is the one that has changed the least. Betty also cinches in her waistline with sashes and dainty chains. Another classic feature of her Grace Kelly lookalike is that they bore wear petticoats to make the skirts fuller. I hope you enjoyed this kind of post, I haven't done one of these in a while.